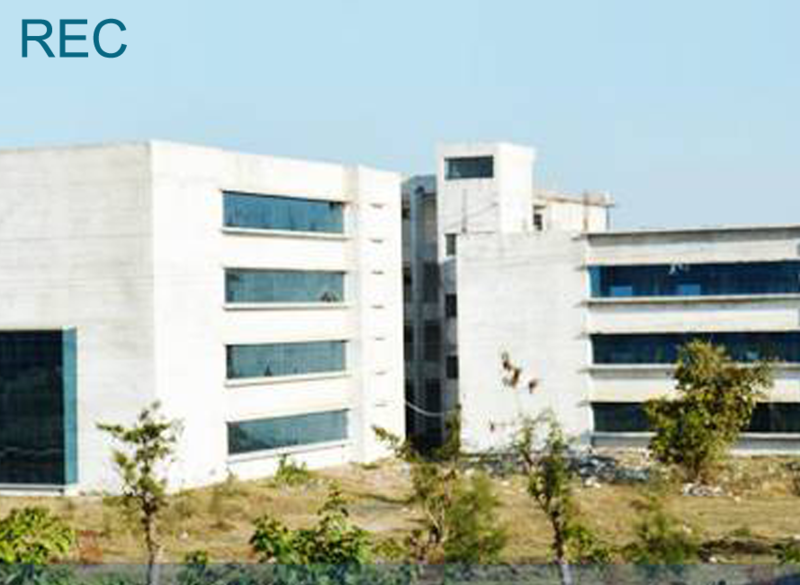 Open Campus Drive of "NETLINK SOFTWARE PVT LTD"
Undisputed Leader in CORE ENGINEERING! 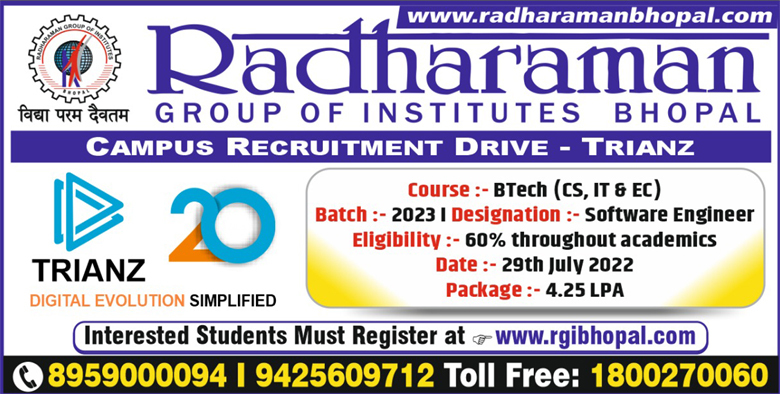 Build your career with RGI !! 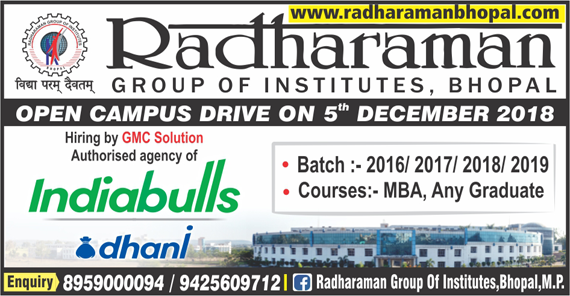 Build your Future with RGI !! 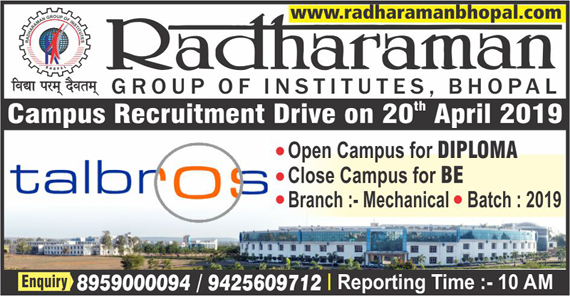 RGI !! 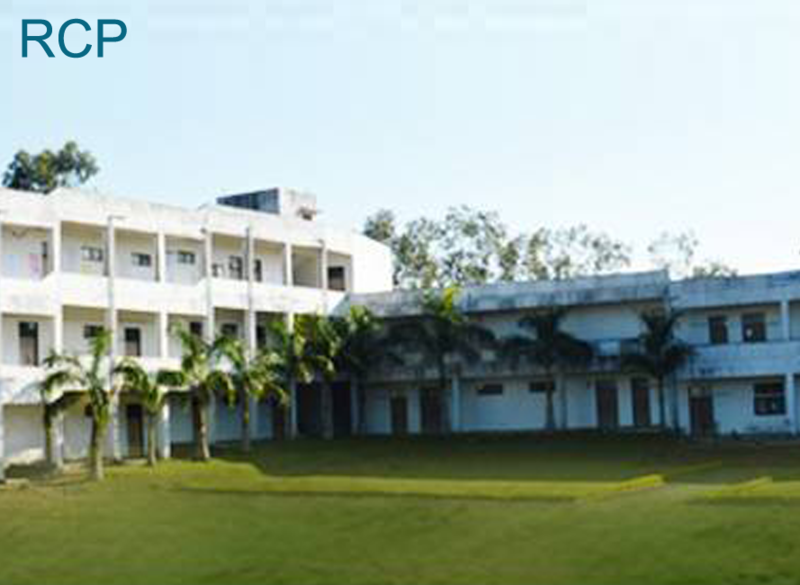 Where Education is an ART !! 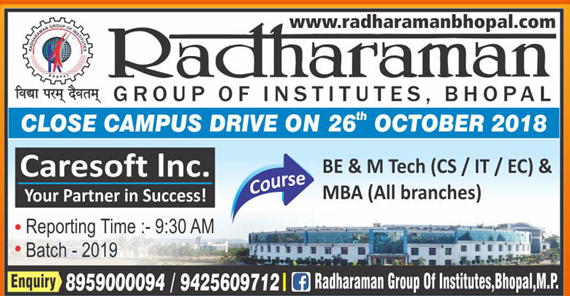 An Investment in Knowledge,Always pays the best interest!! 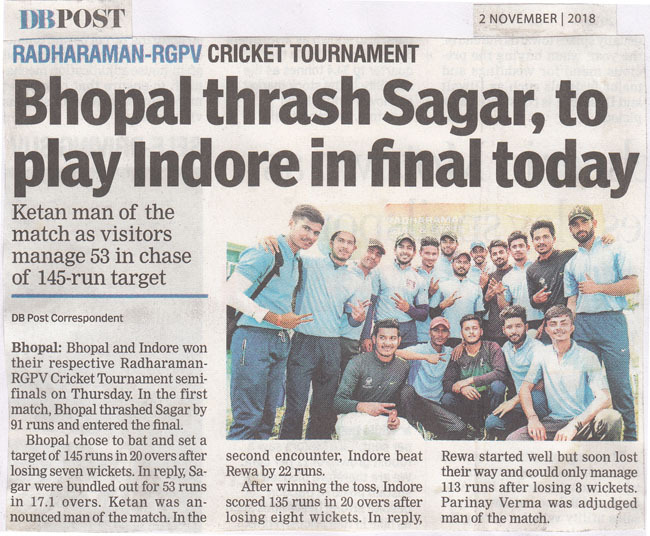 Always pays the best interest!! 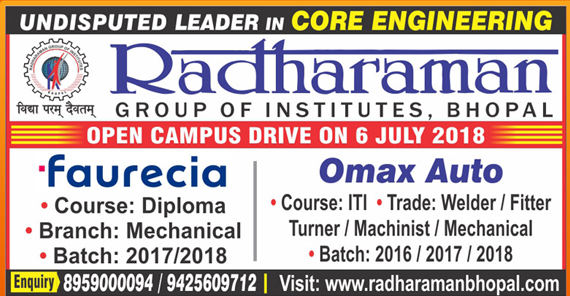 Undisputed Leader in CORE ENGINEERING!! 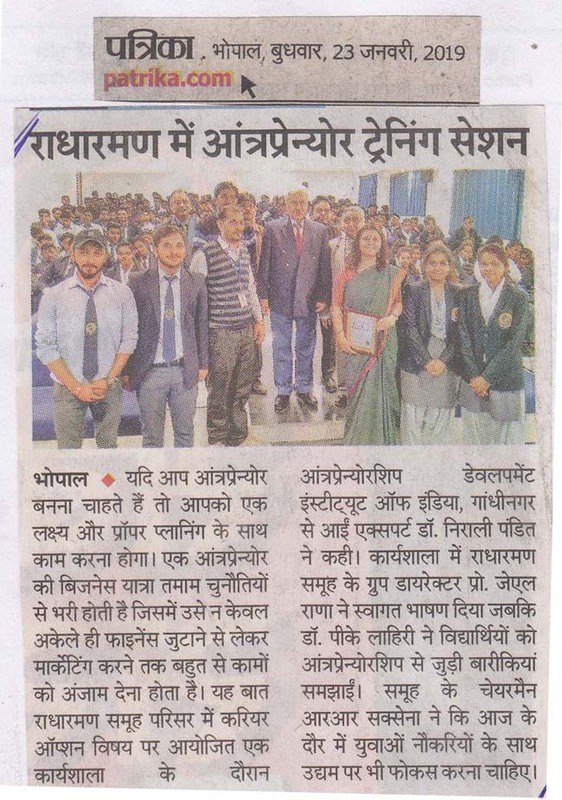 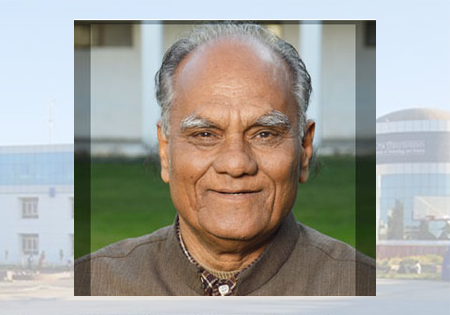 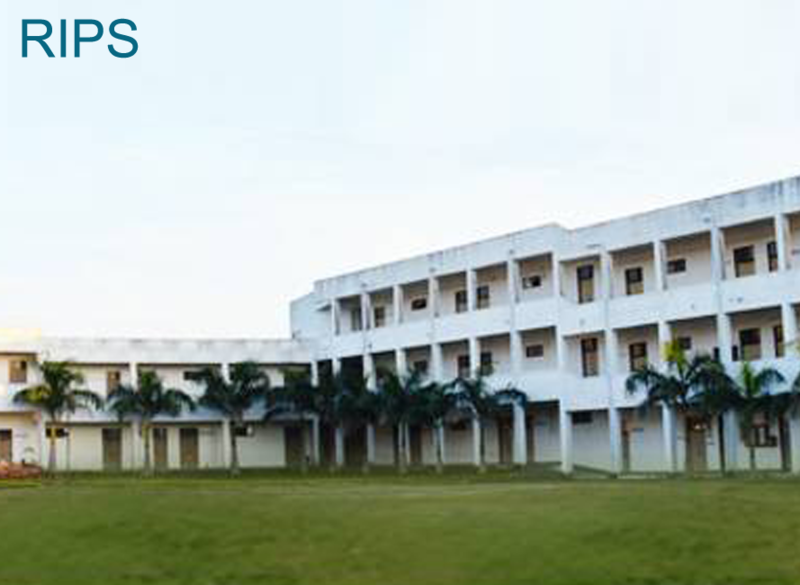 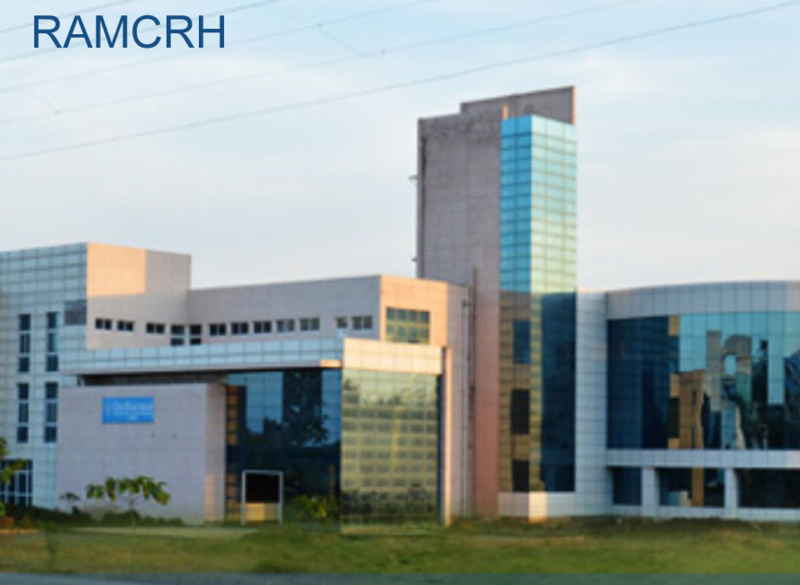 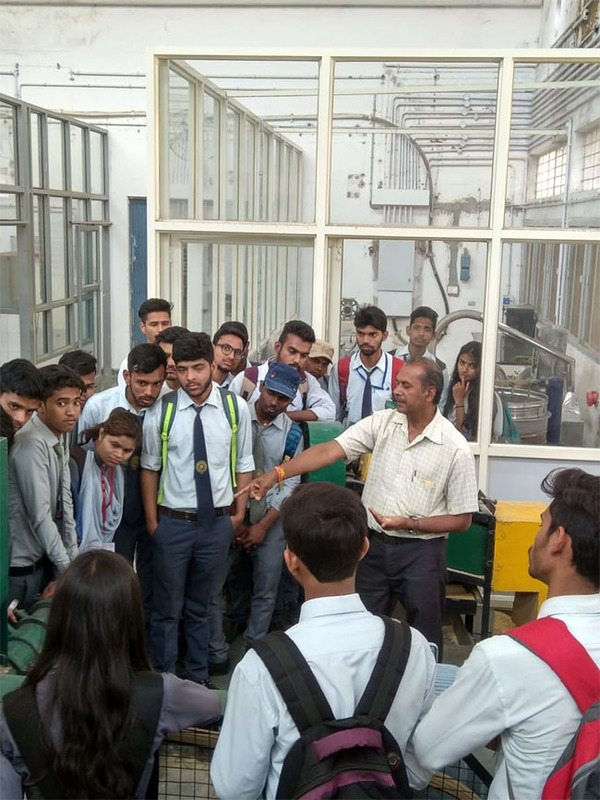 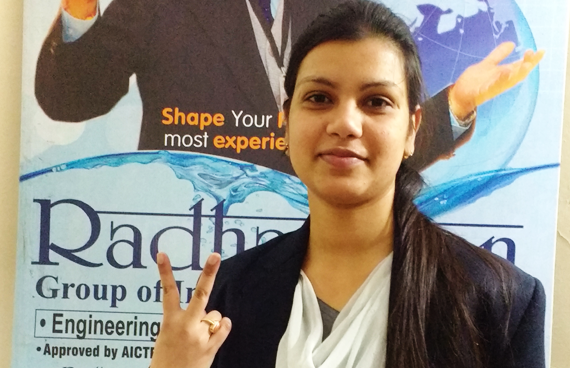 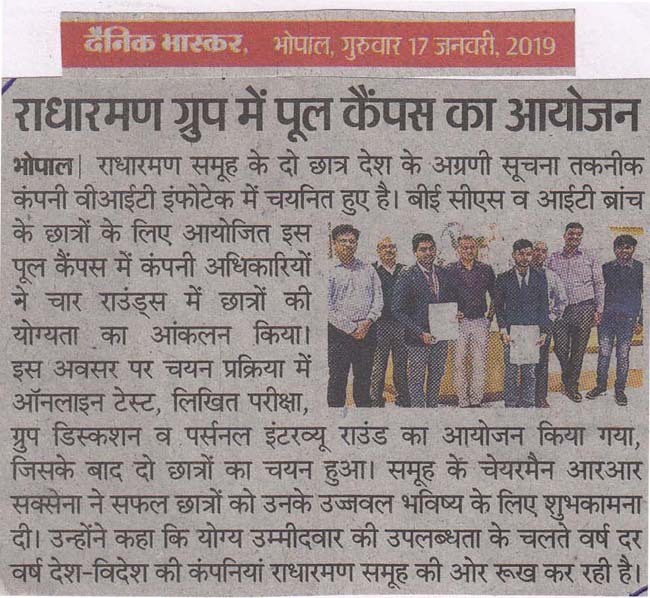 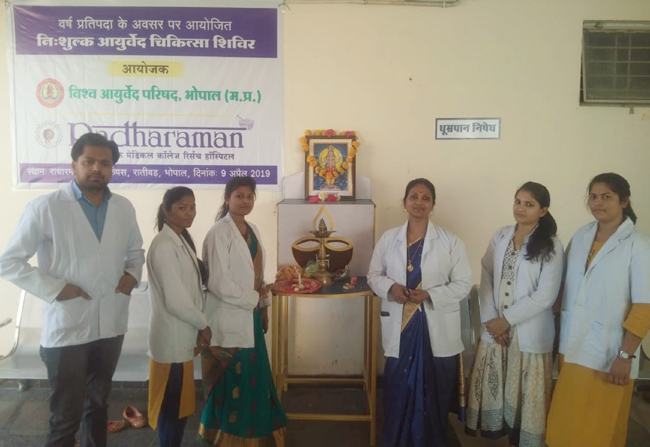 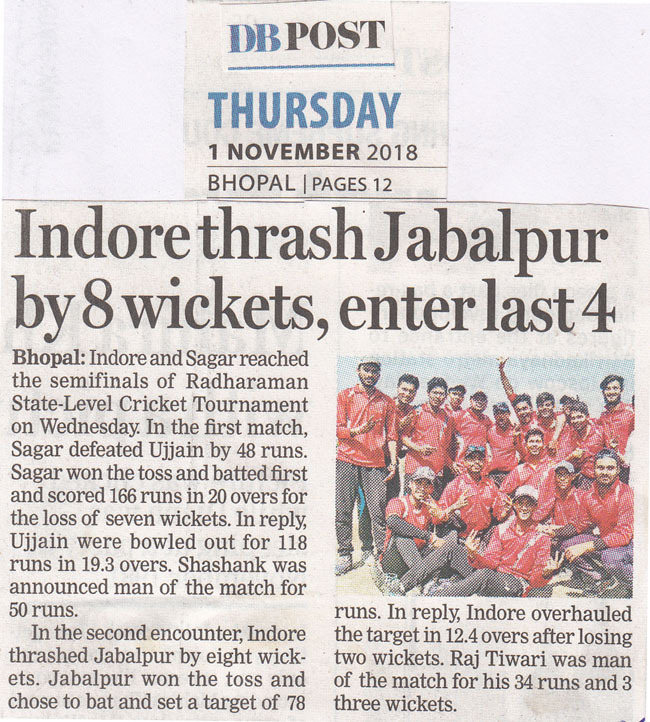 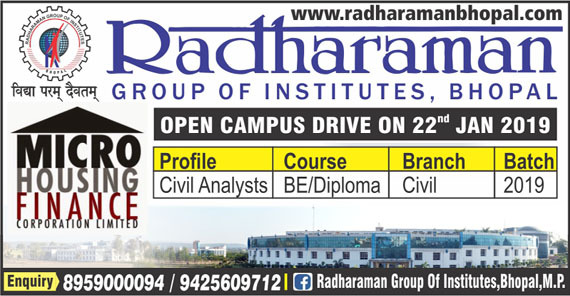 The success story of Radharaman Group of Institutes begins in the year 2003 when the Typasya Education Society launched its first technical institute Radhraman Institute of Technology & Science (Approved by AICTE, New Delhi & Affiliated to Rajiv Gandhi Proudyogiki Vishwavidhyalaya (RGPV) Bhopal). 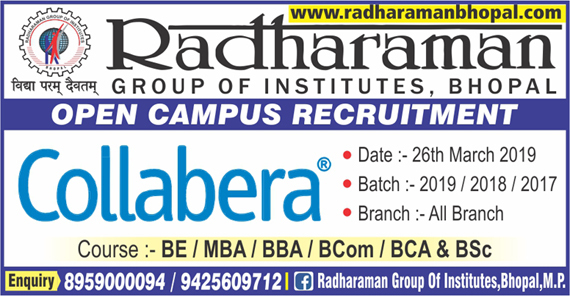 Presently the institute is running programs offering MBA, M.Tech, M.Pharm, BE, B. Pharm degrees.. .
Campus Recruitment Drive of "QH TALBROS"
Close Campus Recruitment by "CFAC"
Open Campus Drive of "COLLABERA"
March. 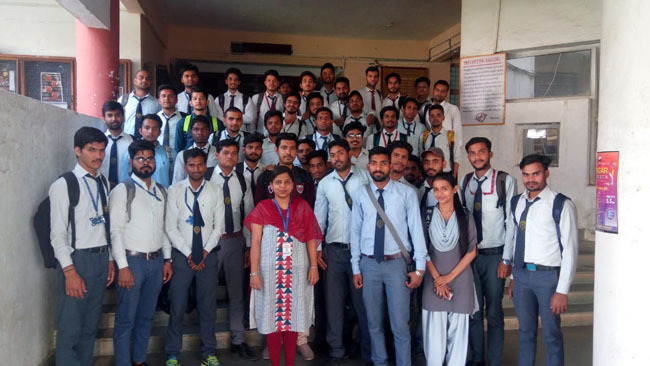 22, 2019 | Branch: It gives us immense pleasure to share with you all the final result of BYJUS campus. 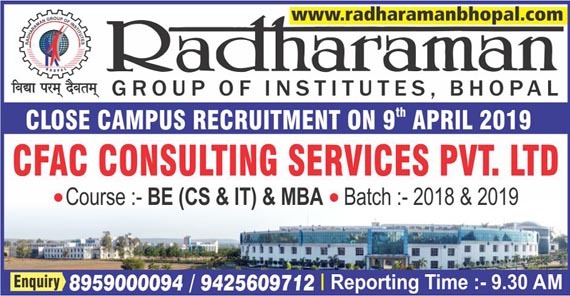 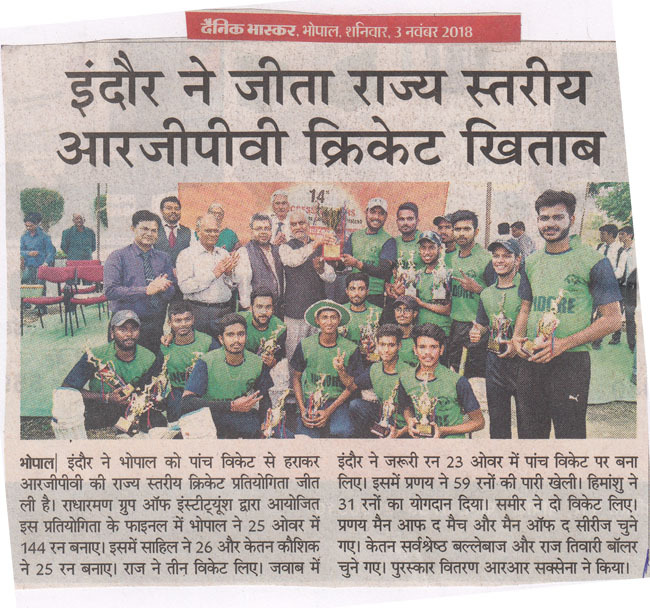 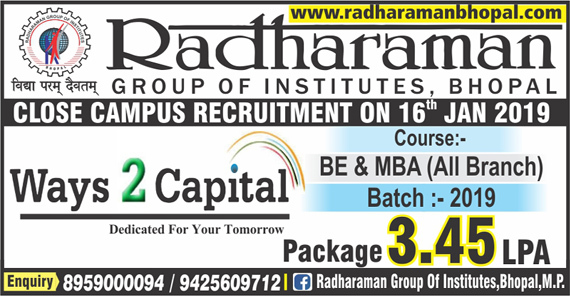 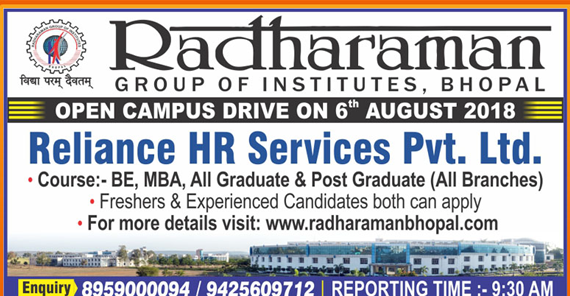 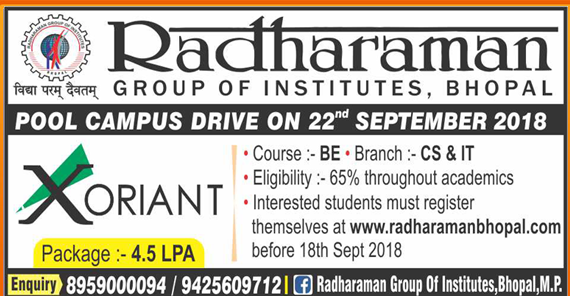 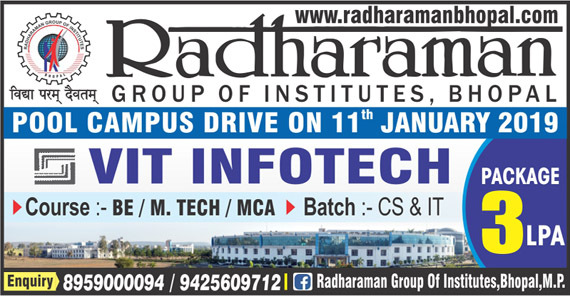 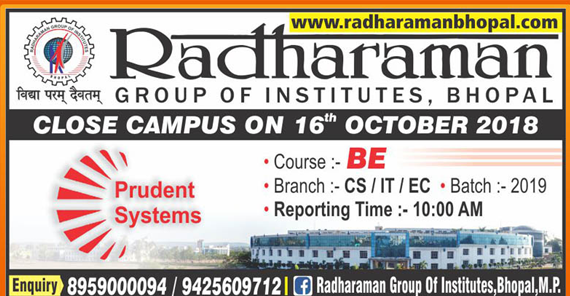 Off Campus Drive by "TCS"
Radharaman Group Of Institutes (RGI) emphasizes on all round development of its students. 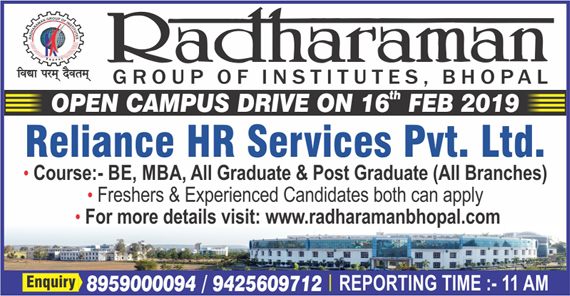 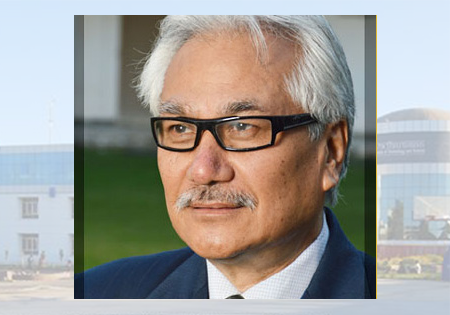 It aims at not only producing good professionals. 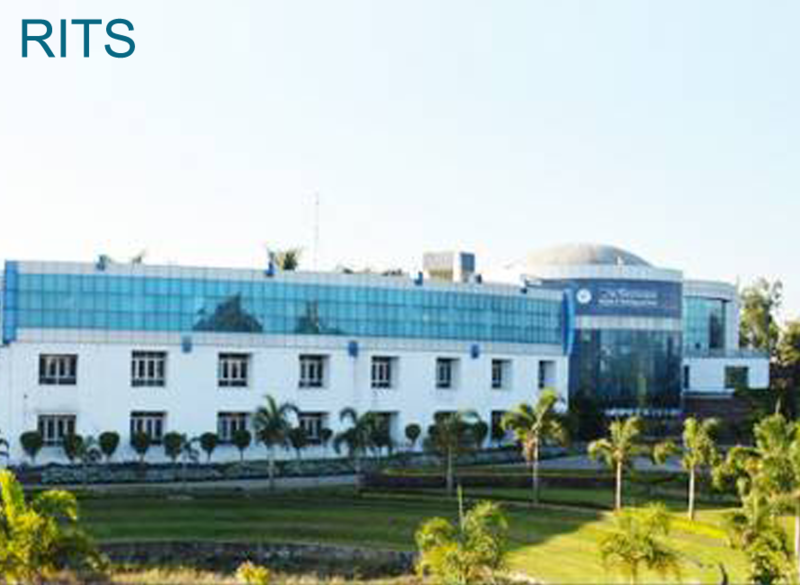 The focus is onto make RGI a preferred destination and center of excellence for development and dissemination of technical knowledge. 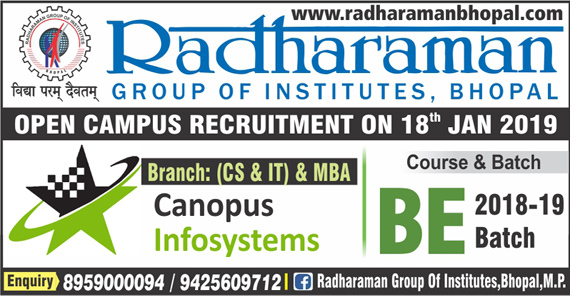 Total 168 companies have visited the campus for recruitment. 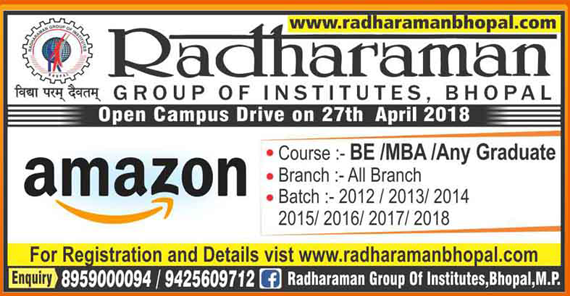 Some of the important companies are listed below. 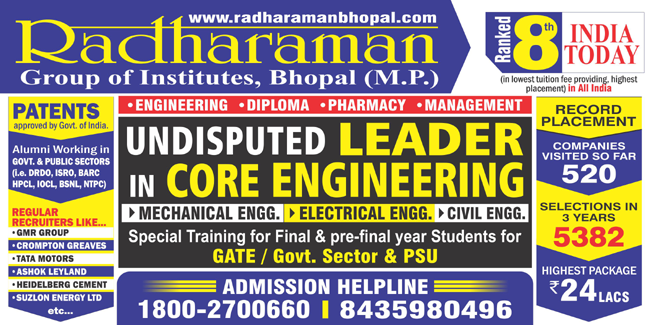 Affiliated to RGPV & B.U.,Bhopal,M.P.